‘Flagpoling’ is a term used to describe a specific method of validating immigration status at the Canadian border. When an individual is refused entry to the United States, they will re-enter Canada to validate their new immigration status. This practice was coined “flagpoling” because “applicants make a quick U-turn at flagpoles.” This process is often used to activate permanent resident status or for the renewal of study permits, work permits, and permanent residency. Flagpoling is not illegal and it can be a convenient option for those who need to renew their temporary work or study permit, or confirm their residency in Canada. The process, however, can take up more time than a typical trip across the border. As such, the Canadian Border Services Agency (CBSA) is implementing some guidelines and restrictions to limit the times during which applications will be processed. WHEN AND WHERE CAN I FLAGPOLE? 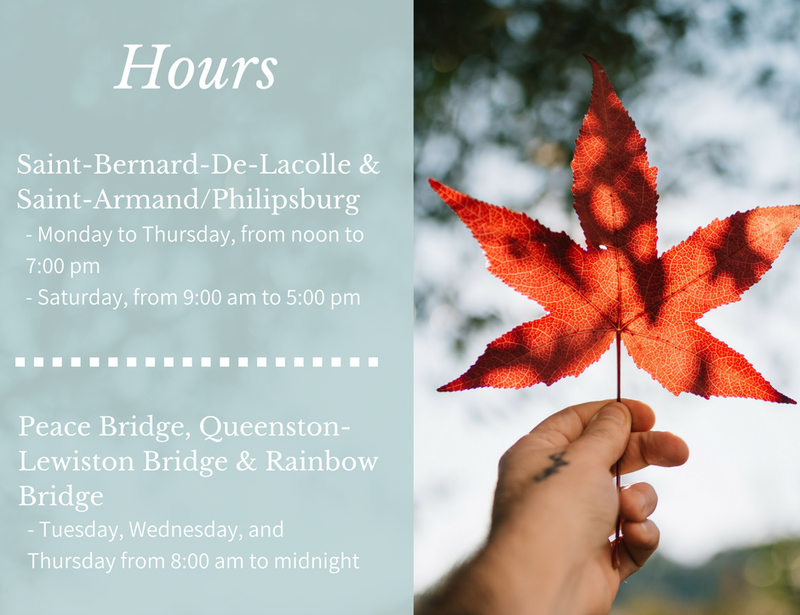 At the Saint-Bernard-De-Lacolle & Saint-Armand/Philipsburg border crossings, the CBSA has specific hours for processing work and study permit applications. Individuals who currently reside in Canada and possess a valid work or study permit may travel to the USA to present their permit application at the Canadian port of entry. If you arrive at one of these locations outside of these scheduled times and you meet the requirements of the Immigration and Refugee Protection Act, you will be admitted into Canada. Your application, however, will not be processed at these ports of entry. You must then submit your application to the IRCC from within Canada. At the Peace Bridge, Queenston-Lewiston Bridge, and Rainbow Bridge ports of entry, the CBSA will accept work and study permit applications as well as confirmation of permanent residence. Individuals seeking to submit their application at these ports of entry must currently reside in Canada, possess a valid work or study permit, or hold temporary residence status, and travelled to the USA for the sole purpose of presenting their permit application at a Canadian port of entry. Should you arrive at one of these locations outside of these scheduled times and you meet the requirements of the Immigration and Refugee Protection Act, you will be admitted into Canada. Your application, however, will not be processed at these ports of entry. You must then submit your application to the IRCC from within Canada. It’s important to note that even during the scheduled hours, some applications may not be processed. Should you arrive at a peak time, where officers have a high volume of requests, you may be asked to apply online, or make an appointment with IRCC from within Canada. If you arrive at one of these border crossings outside of scheduled hours, you may be denied entry. This means that some individuals may be required to validate their status through a landing interview, which can take weeks (sometimes months) to schedule. In the meantime, the applicant may lose their resident status and take on visitor status. This, in turn, can impact access to health and social insurance. It is important, then, to take note of the scheduled hours and plan your trip accordingly. For more information, read the full CBSA announcement.